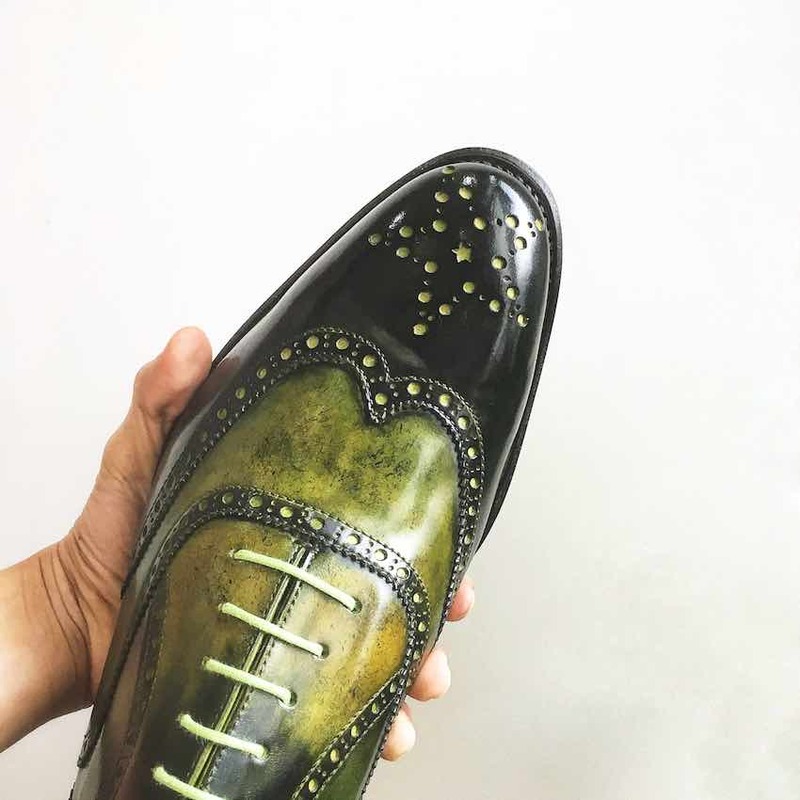 Full brogue shoes with mirror shine toe caps. 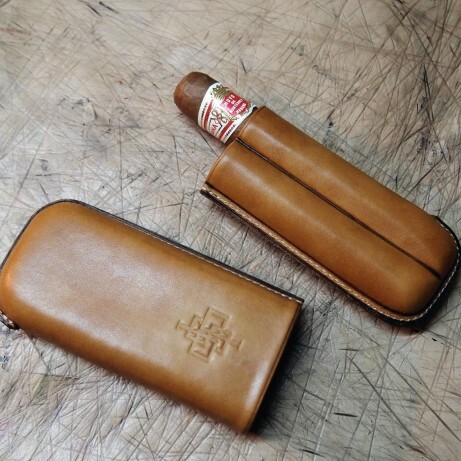 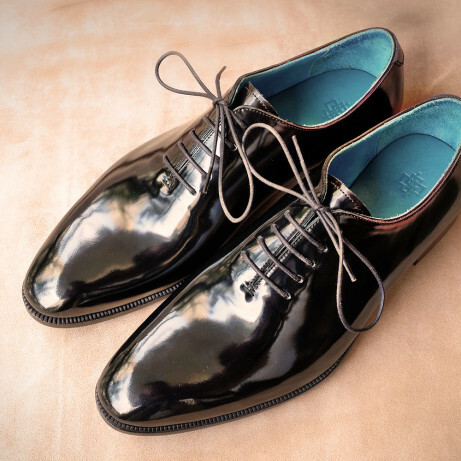 Shine or polish is a matter of personal taste. 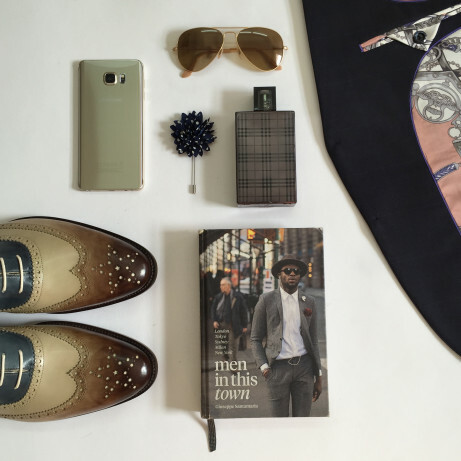 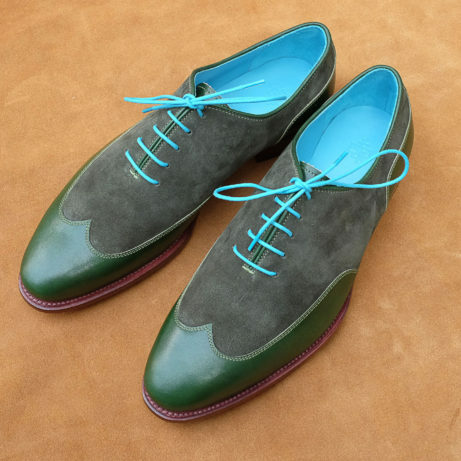 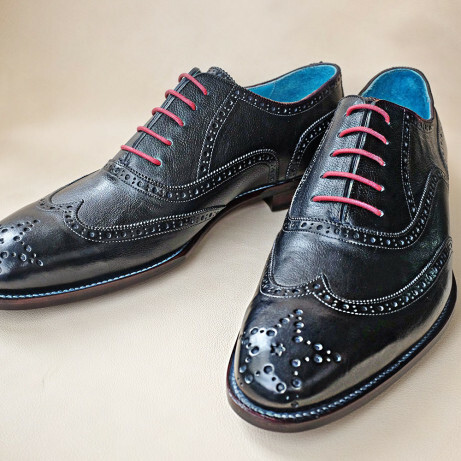 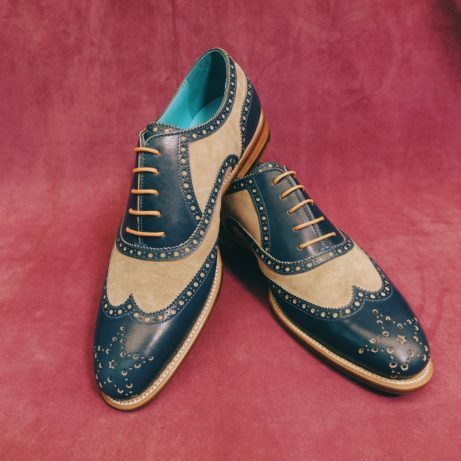 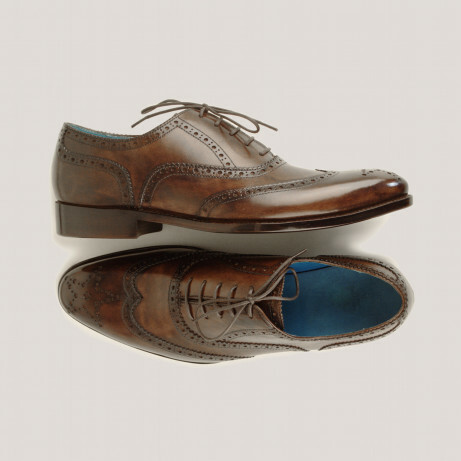 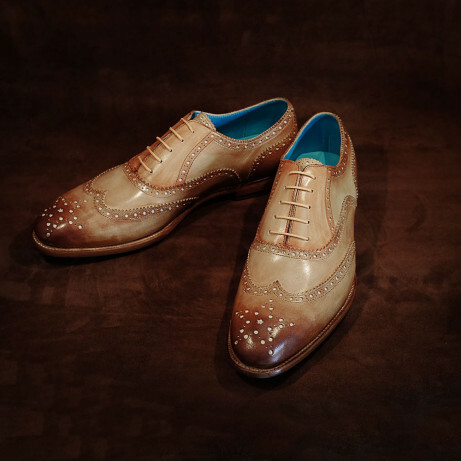 This pair of full brogue shoes, or wing tips as our American cousins would call them, were at the request given a high gloss shine on the toe caps. 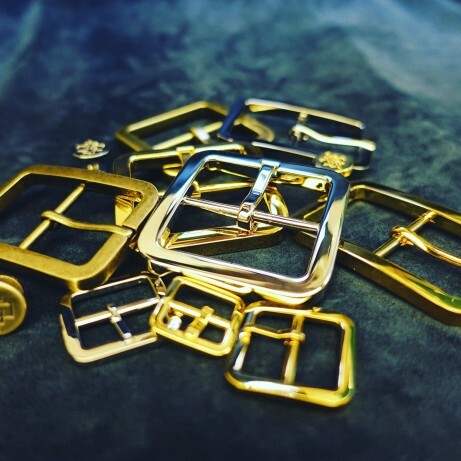 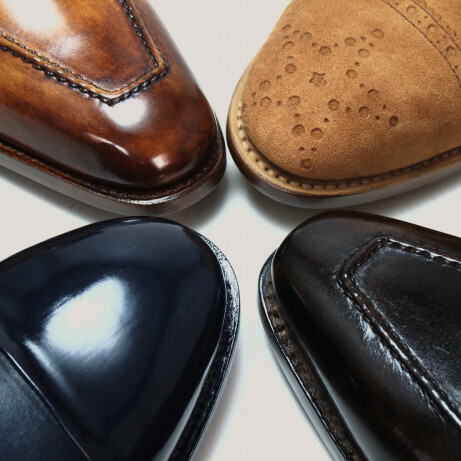 To achieve the mirror shine toe caps is the slow and careful hand working of our finishing staff in our own workshop here in Saigon. 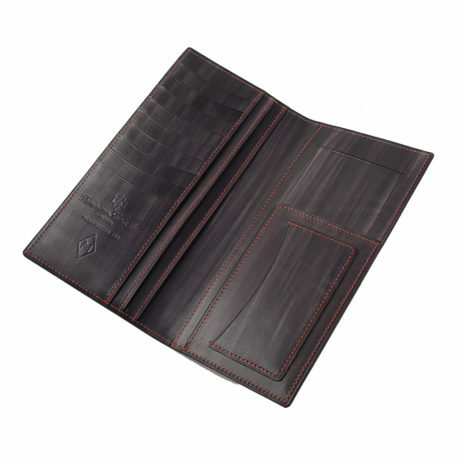 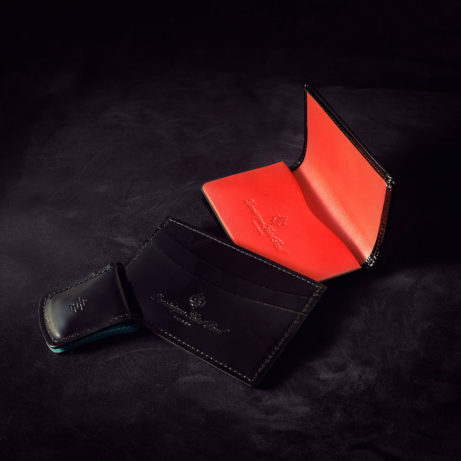 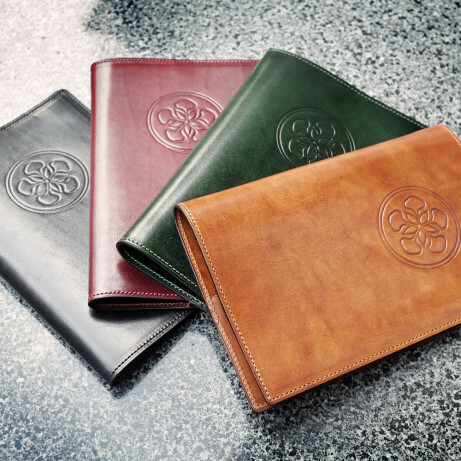 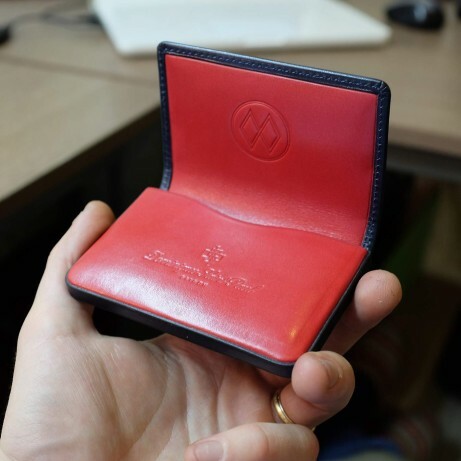 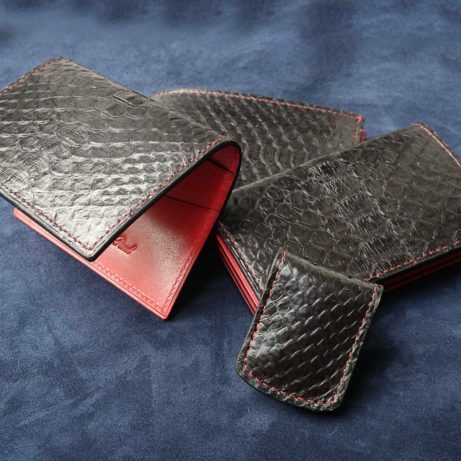 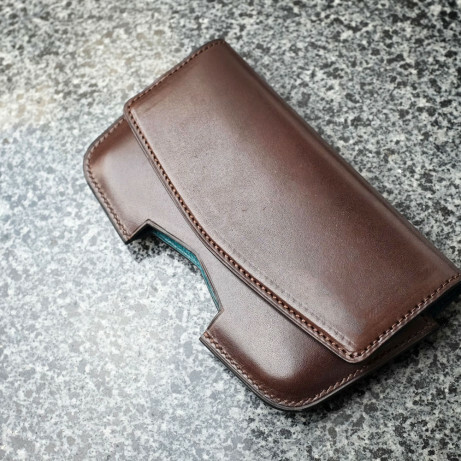 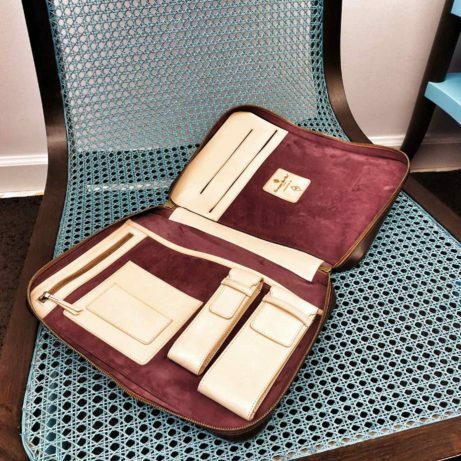 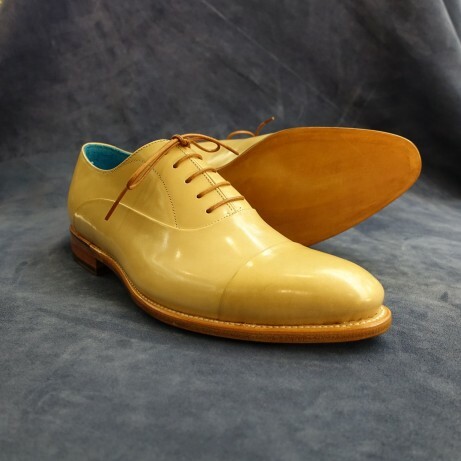 After careful application of many layers of Italian leather creams, allowing a good long time for drying at each step of the process, the final shine is achieved by long and slow brushing with Carnauba wax from south America. 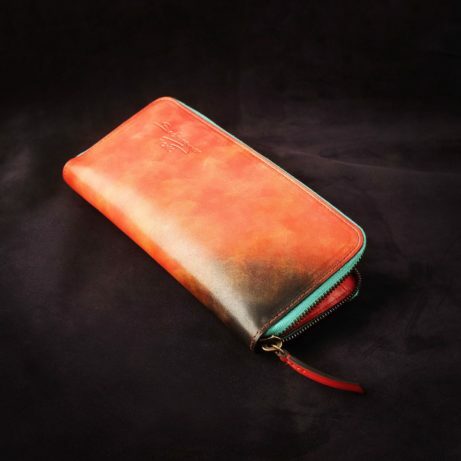 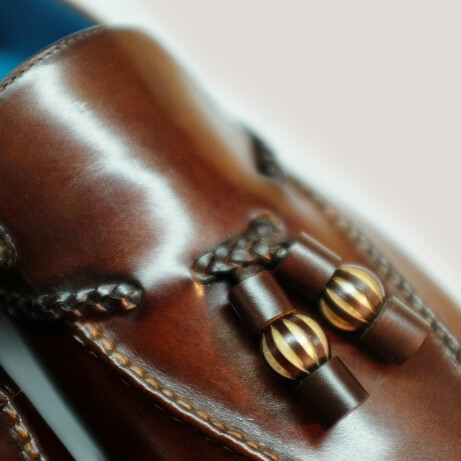 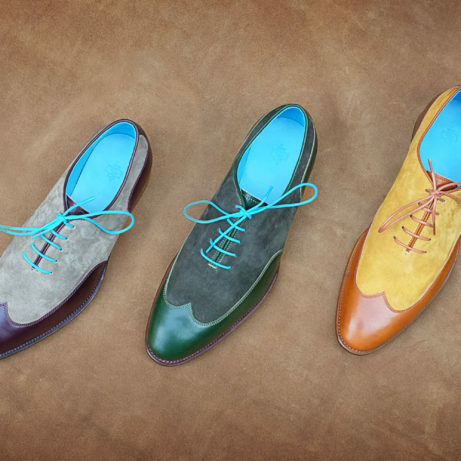 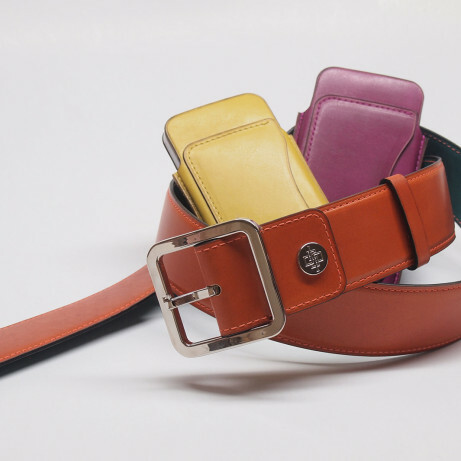 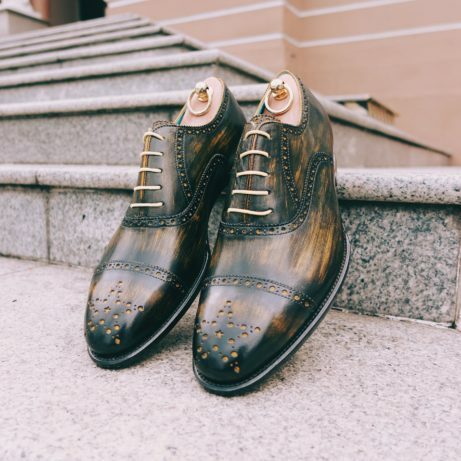 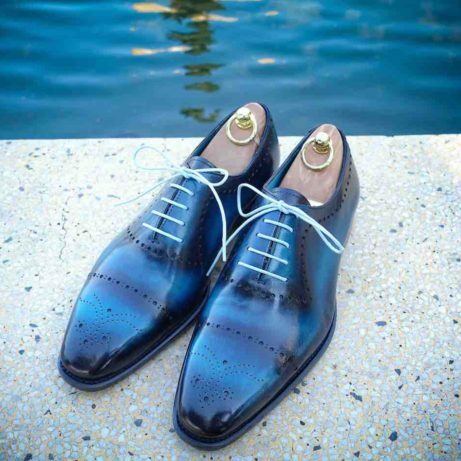 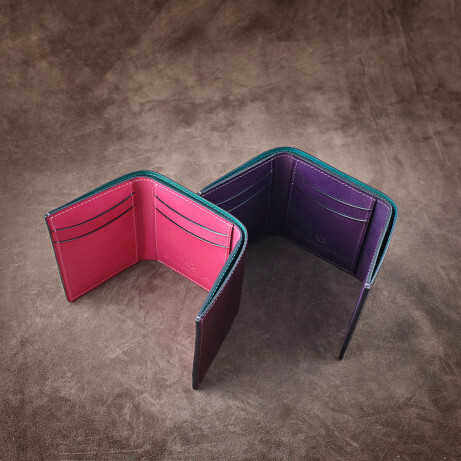 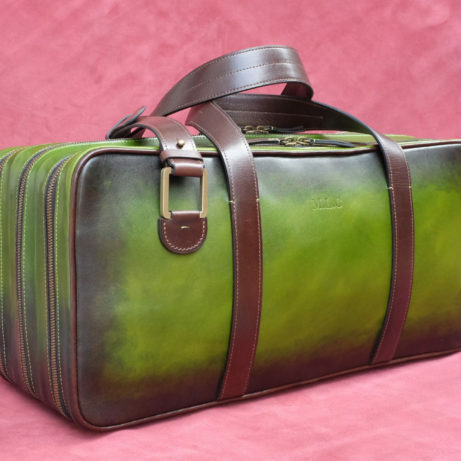 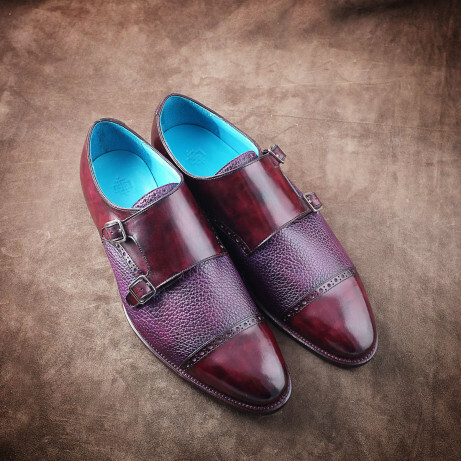 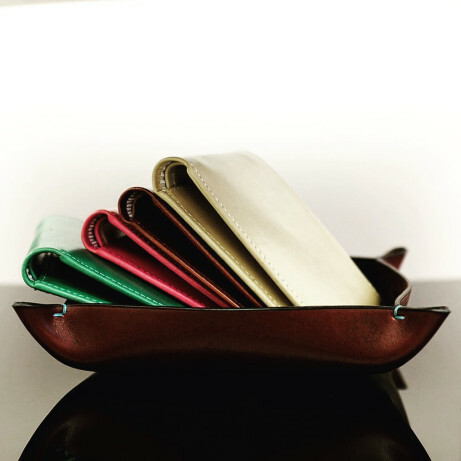 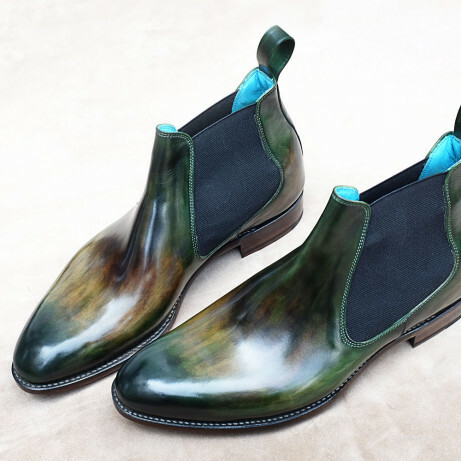 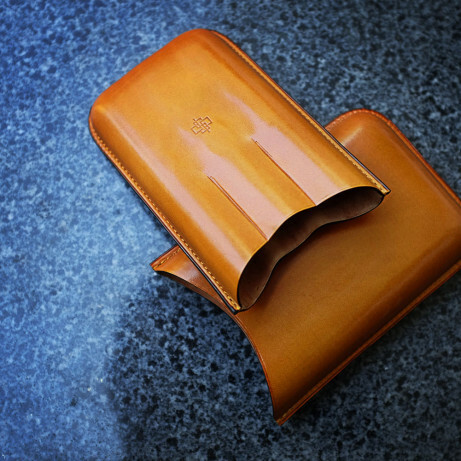 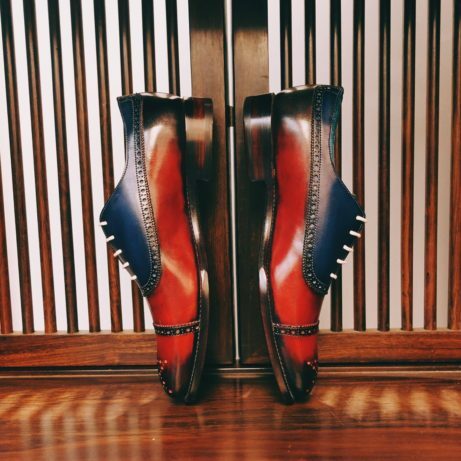 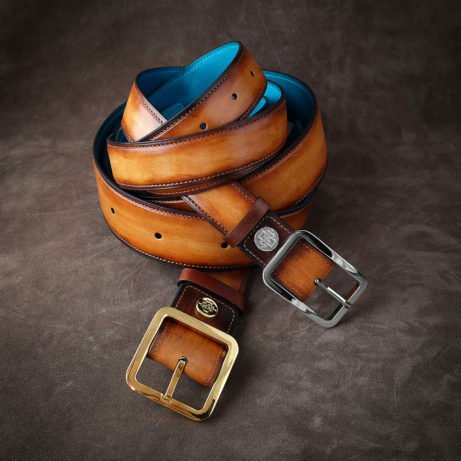 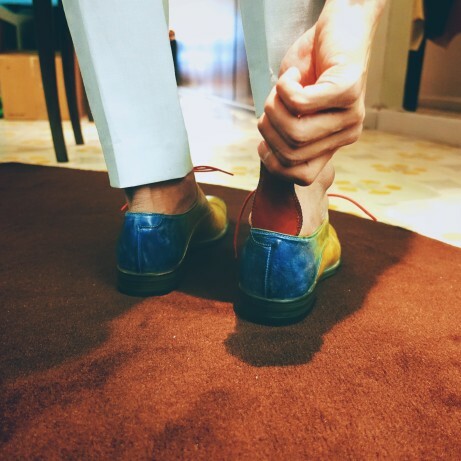 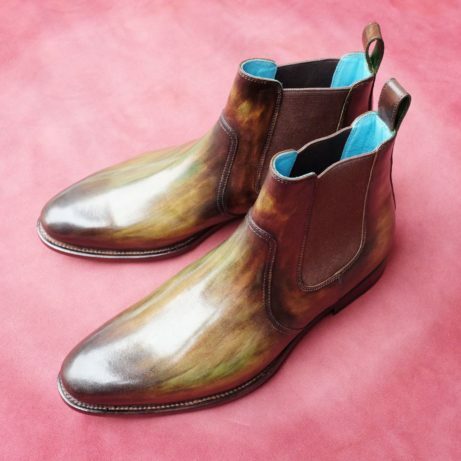 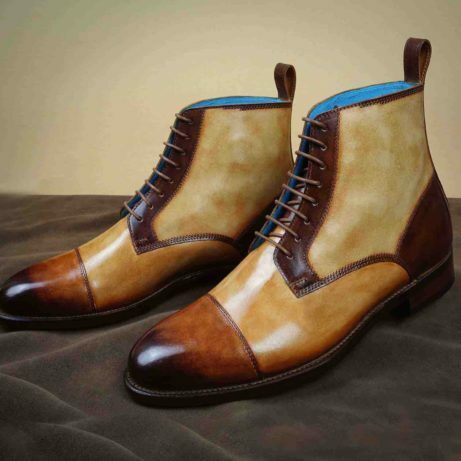 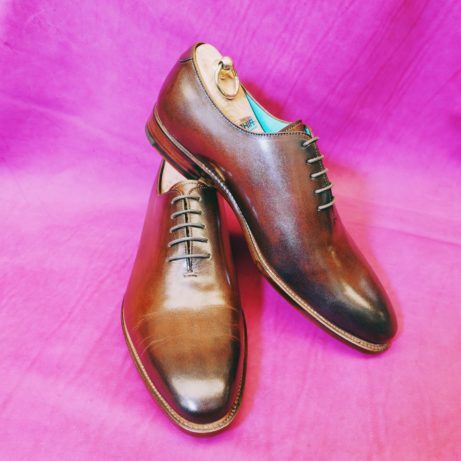 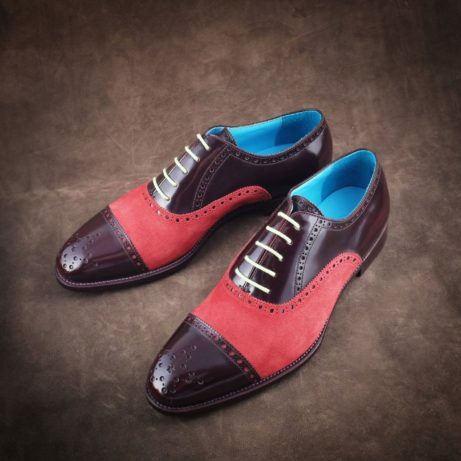 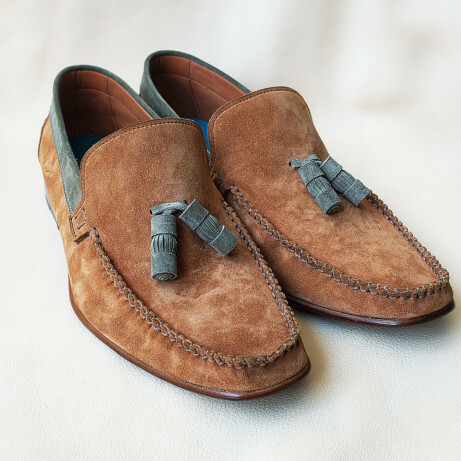 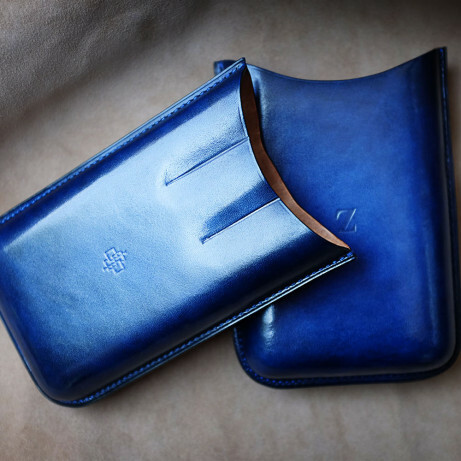 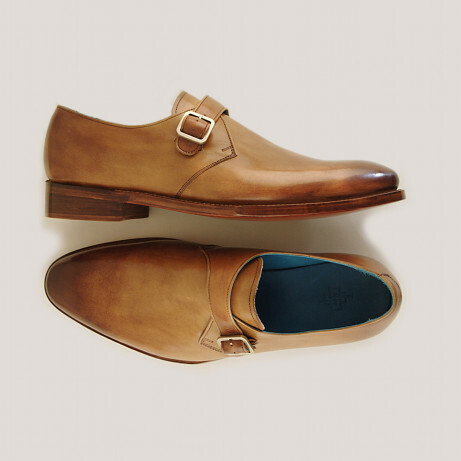 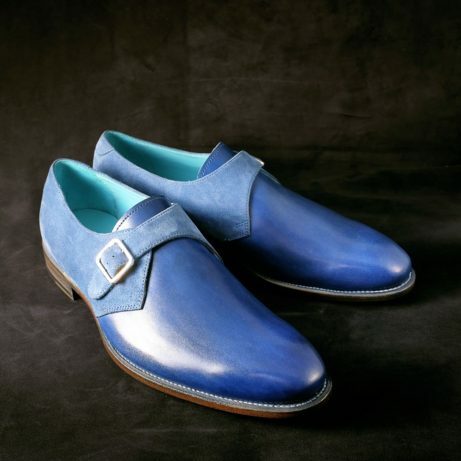 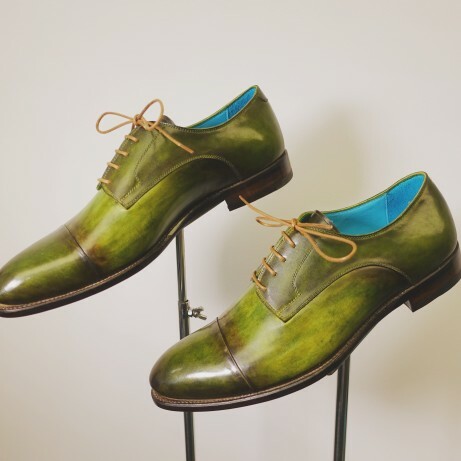 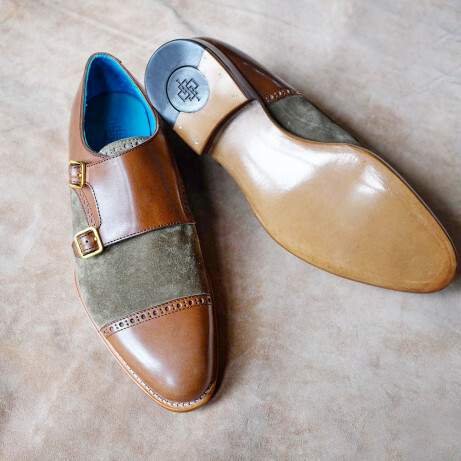 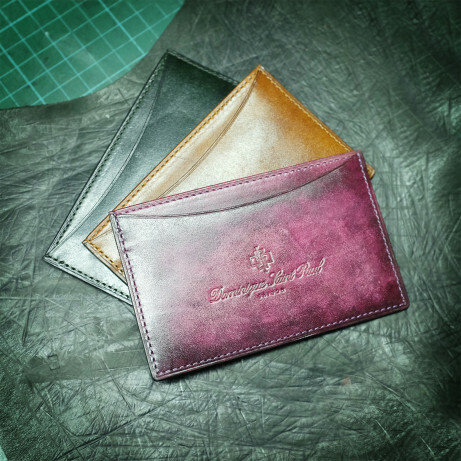 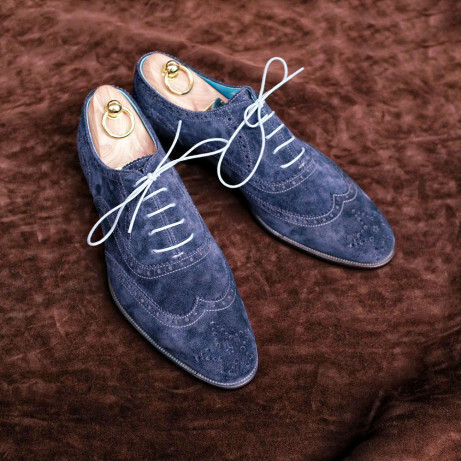 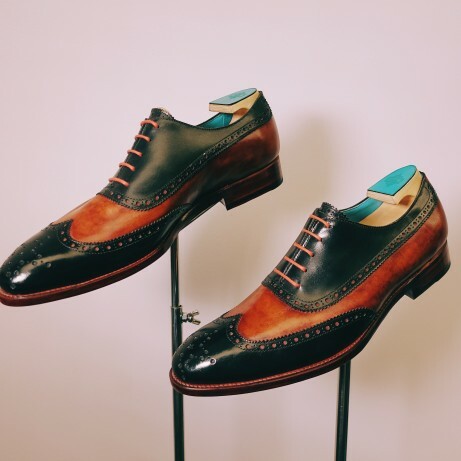 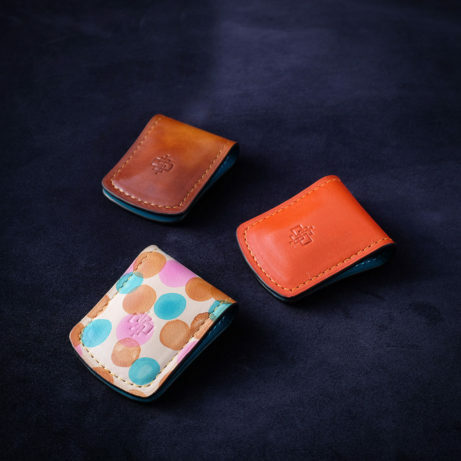 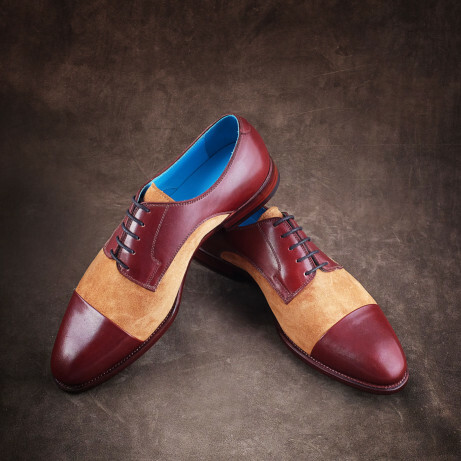 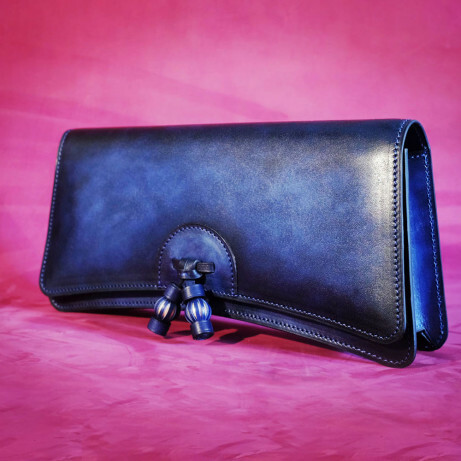 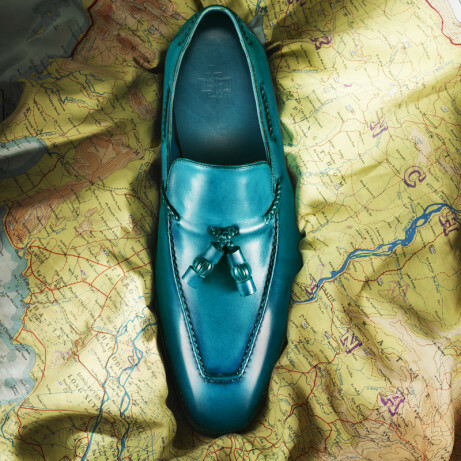 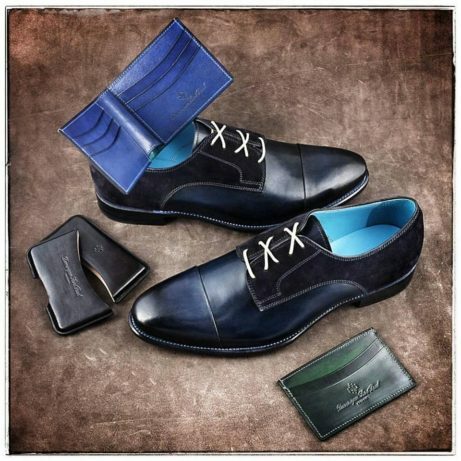 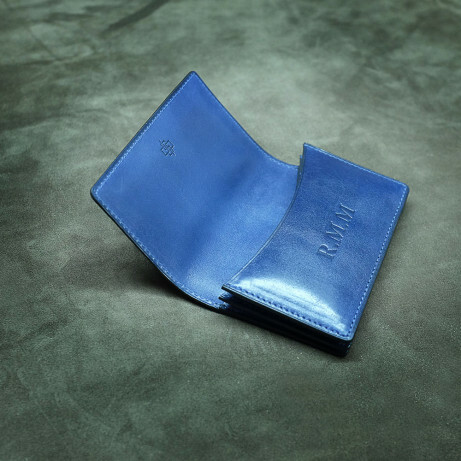 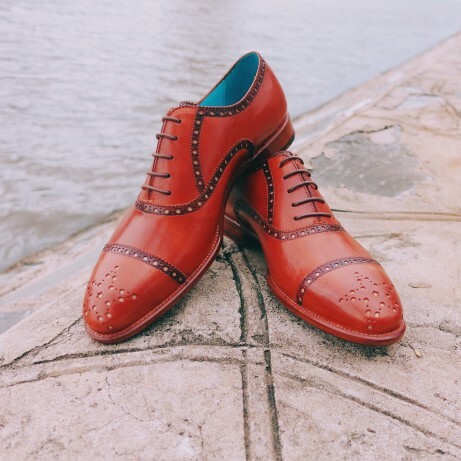 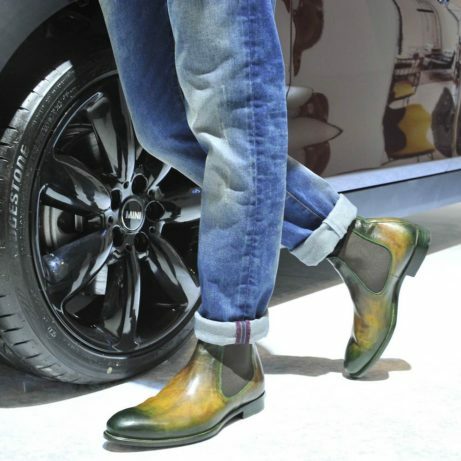 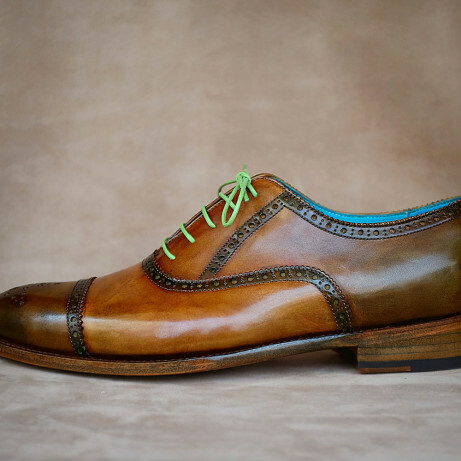 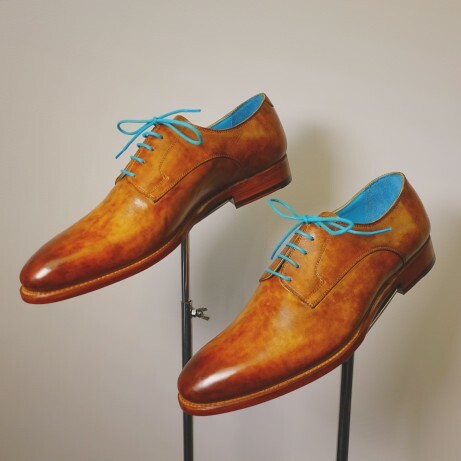 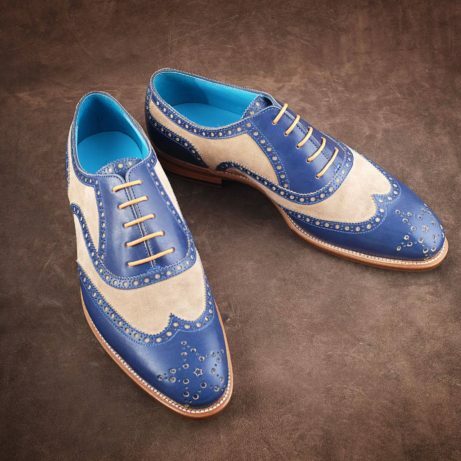 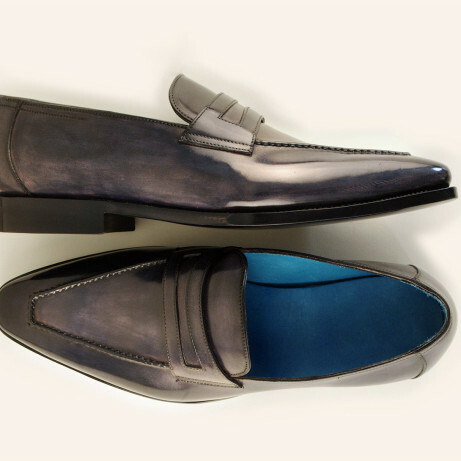 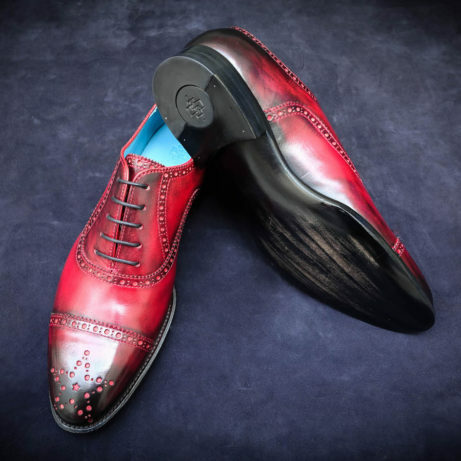 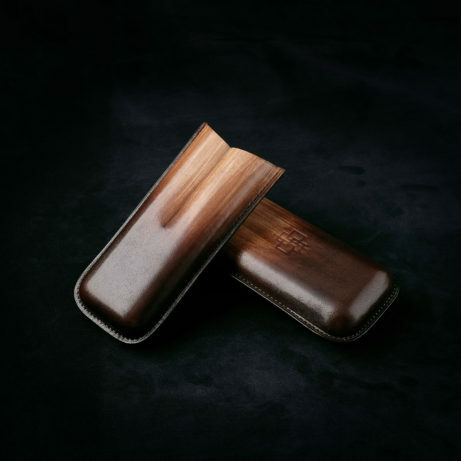 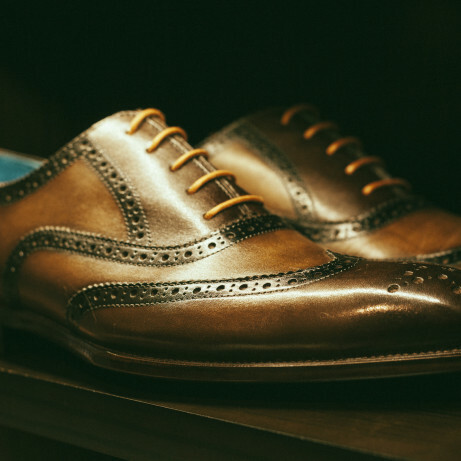 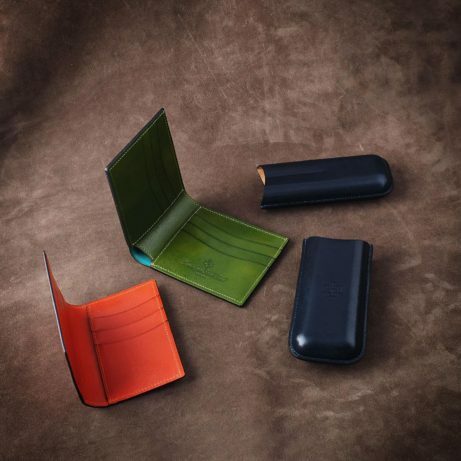 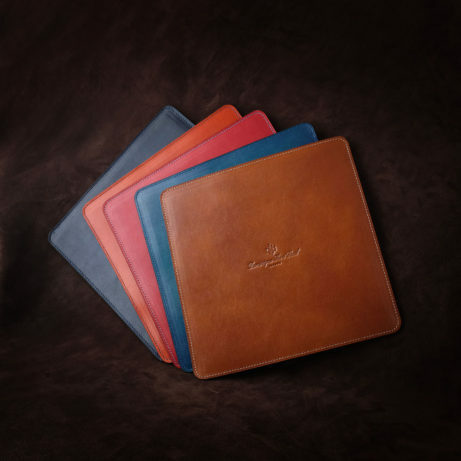 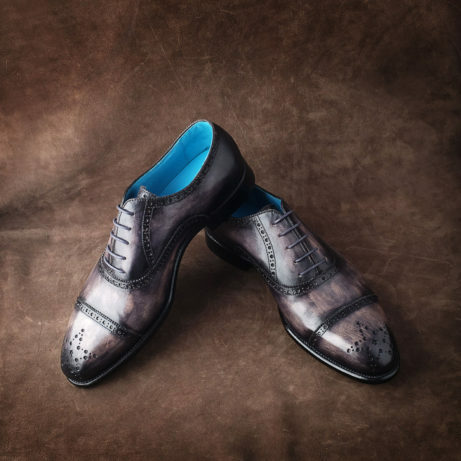 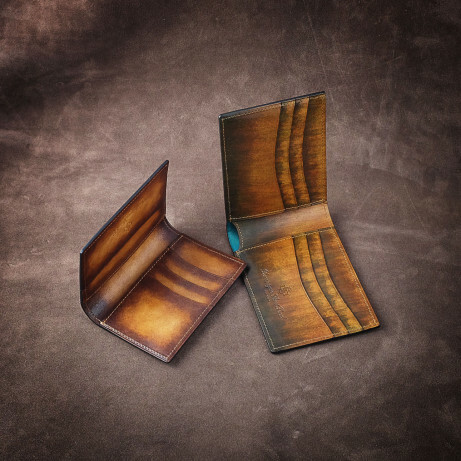 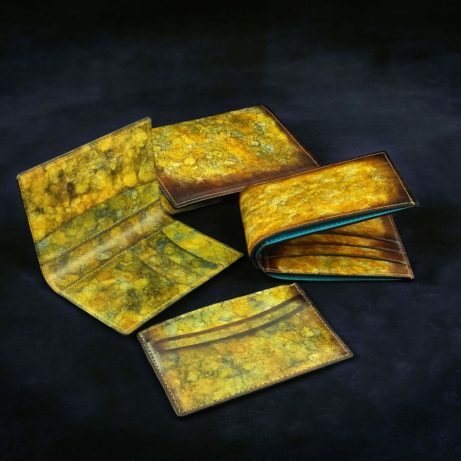 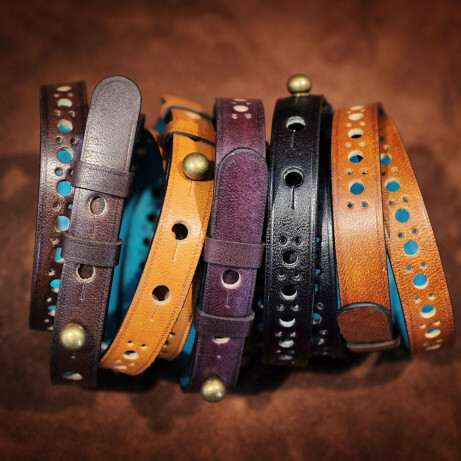 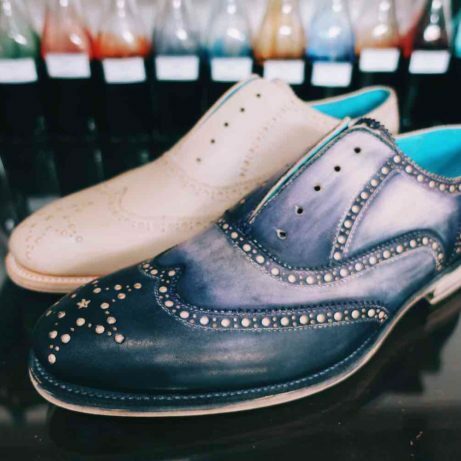 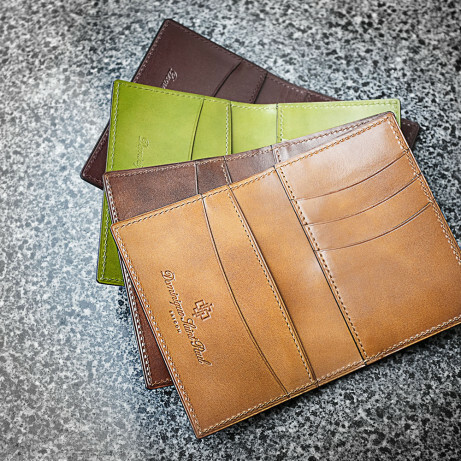 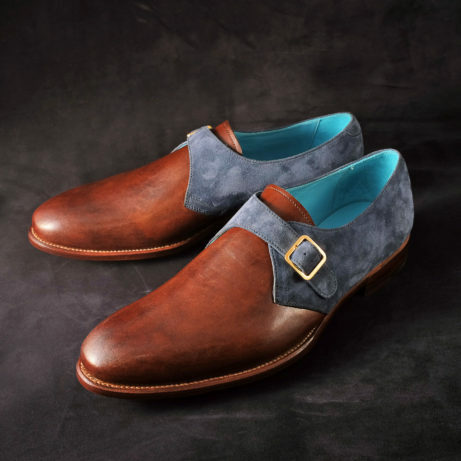 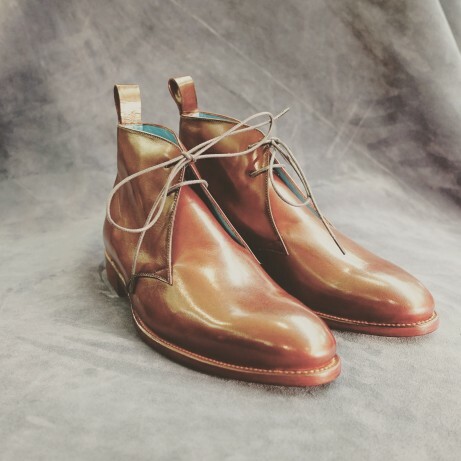 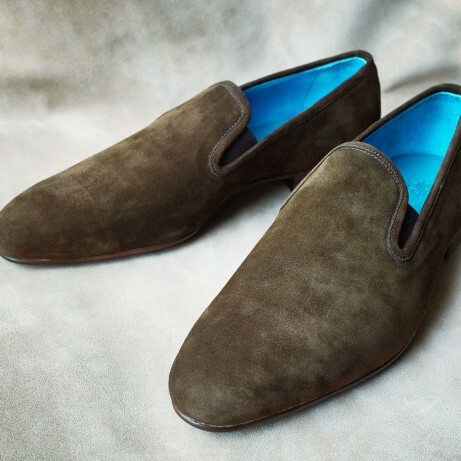 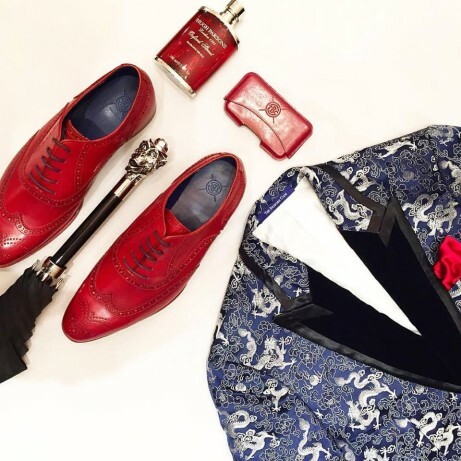 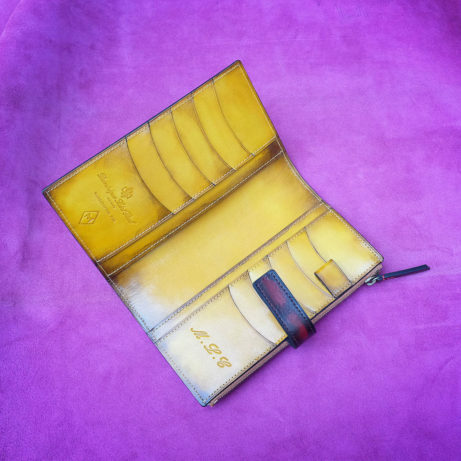 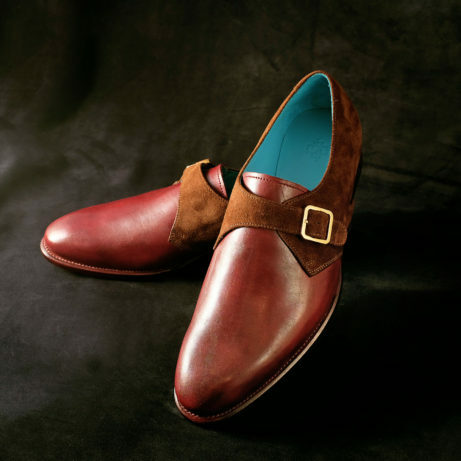 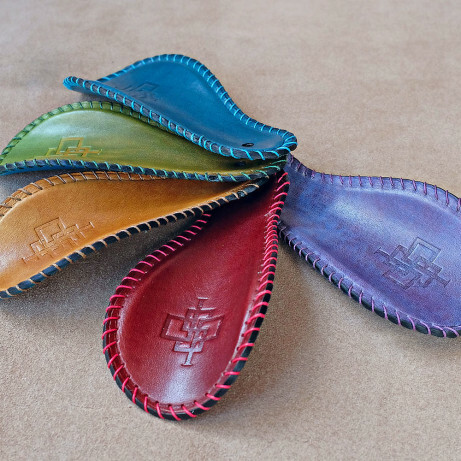 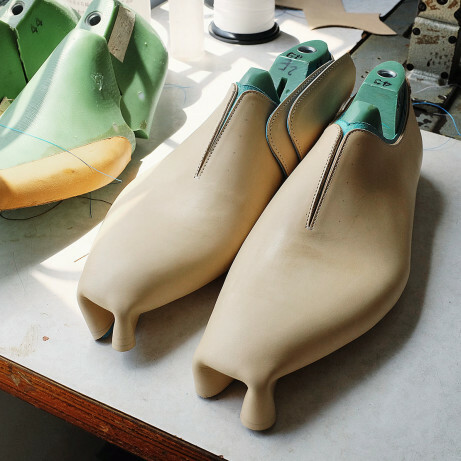 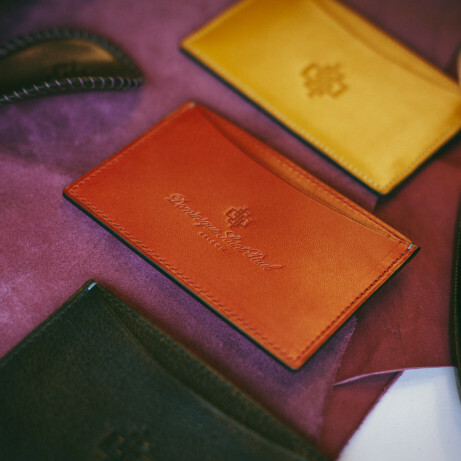 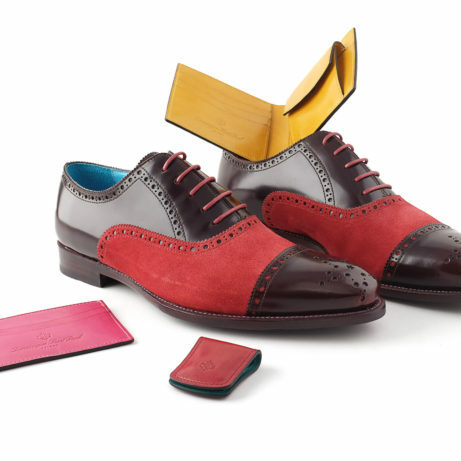 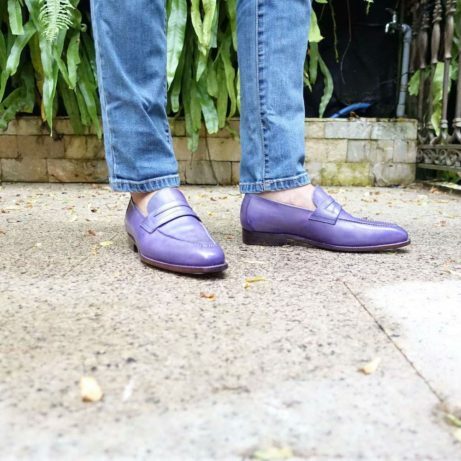 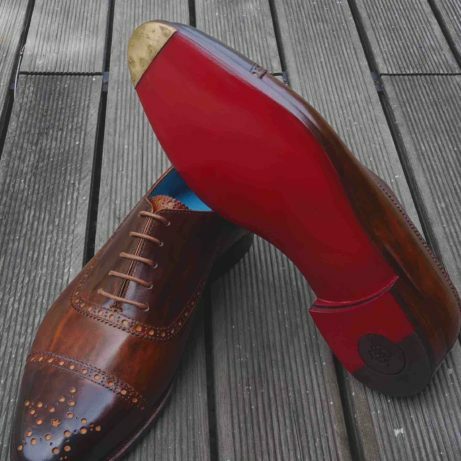 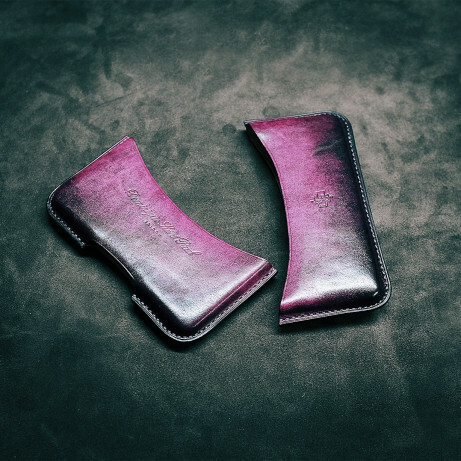 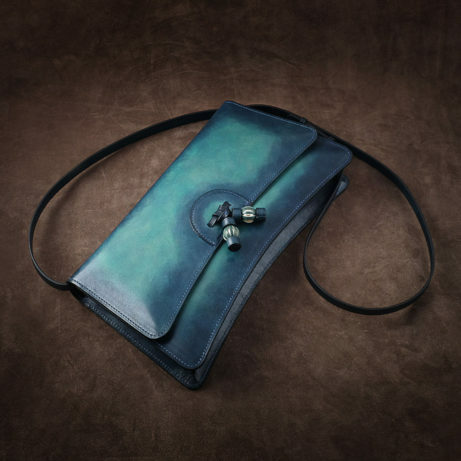 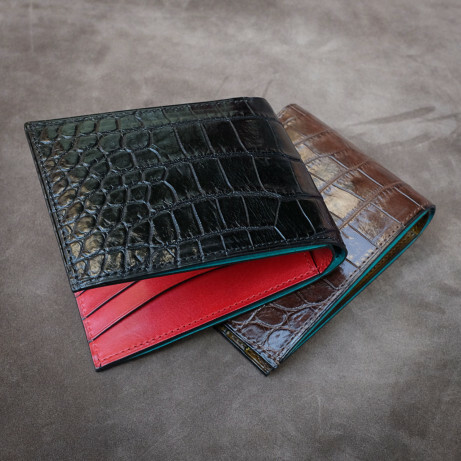 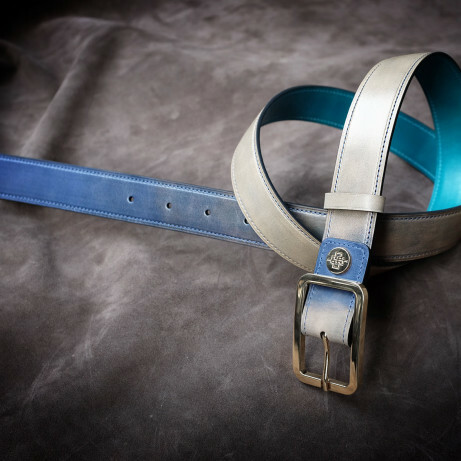 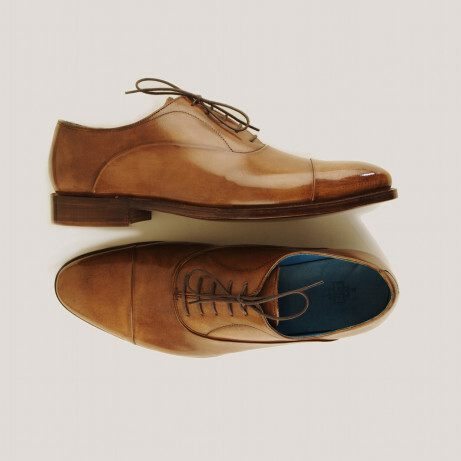 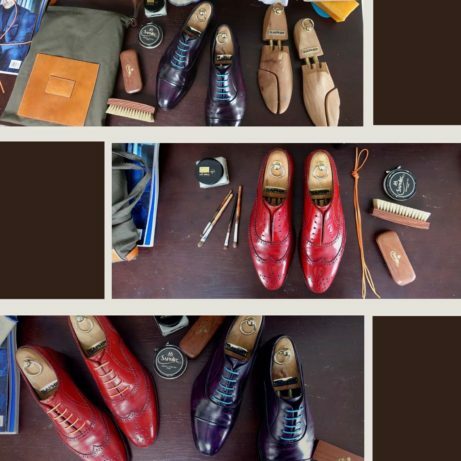 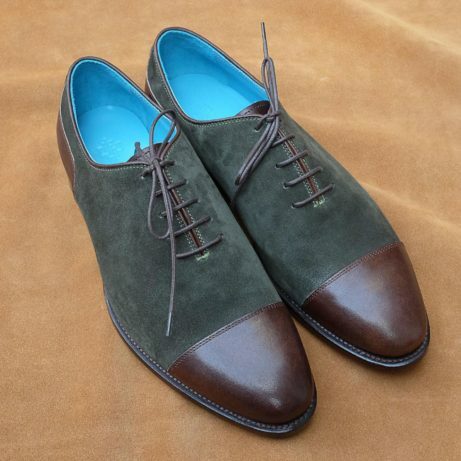 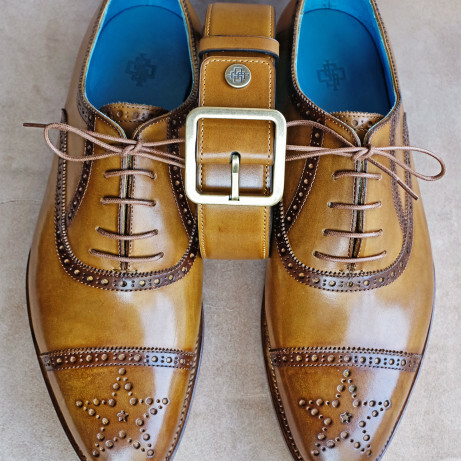 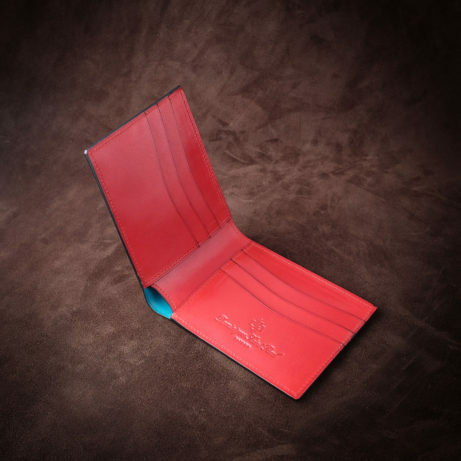 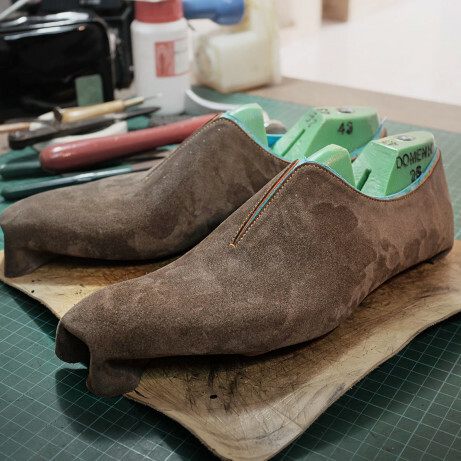 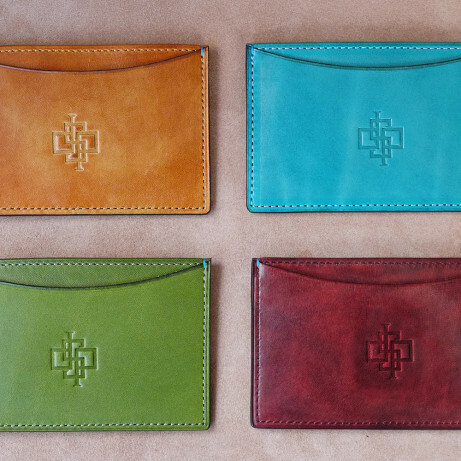 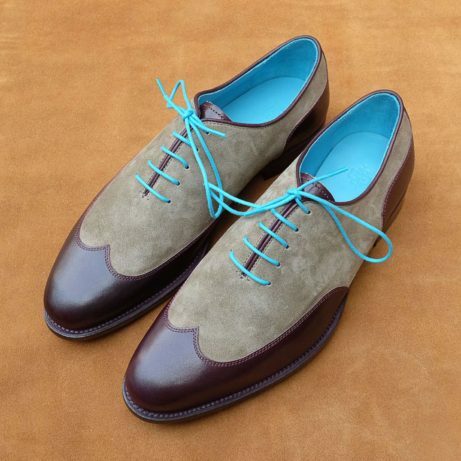 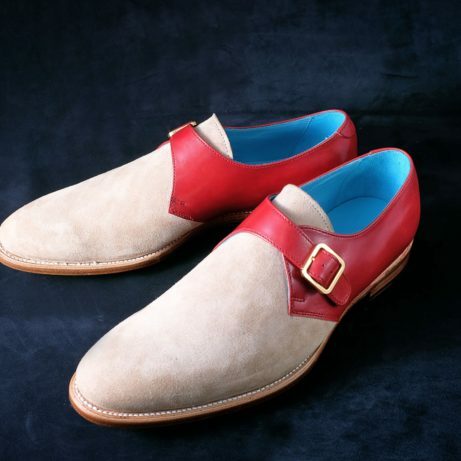 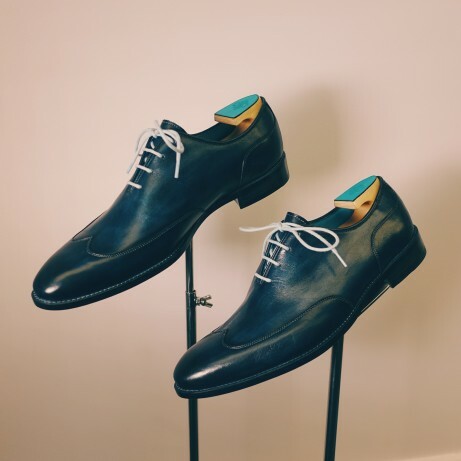 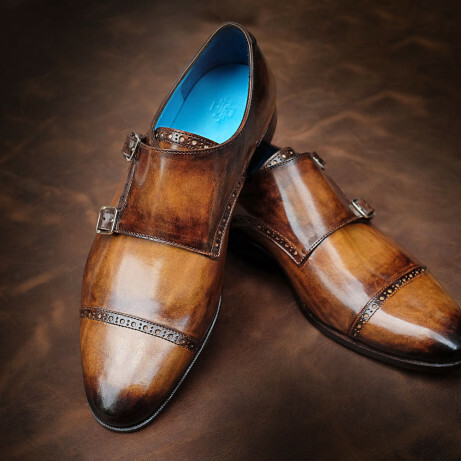 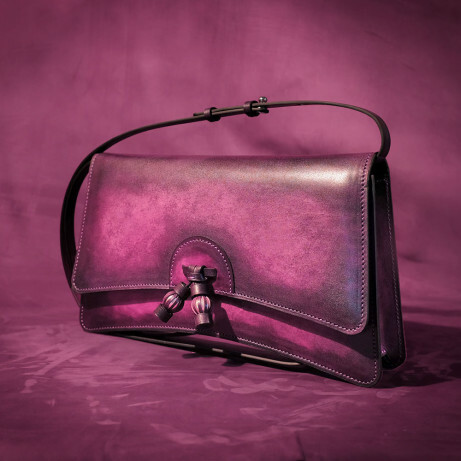 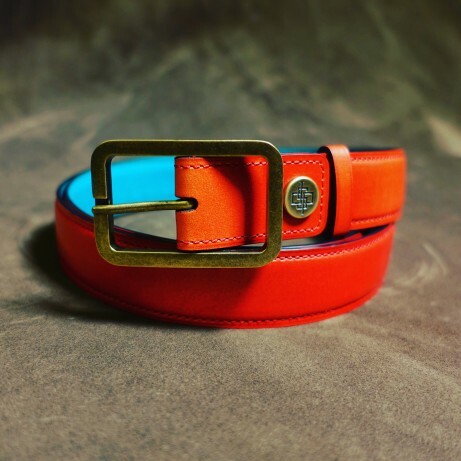 As many of our avid fans know, we specialise in hand coloured patina, where Italian alcohol based dye colours are applied, one of more colours, slowly on a special leather called crust, which for our made to ordert shoes is calf crust from Italy or France. 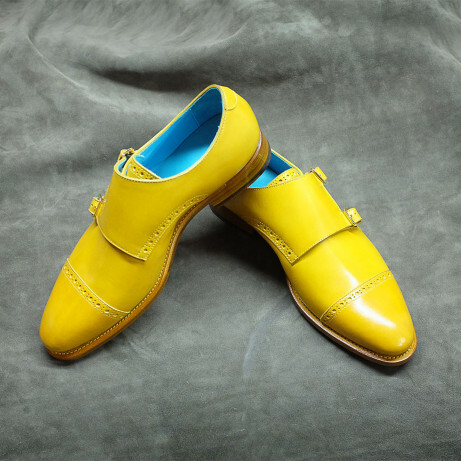 But colouring is colouring and after must come the finishing. 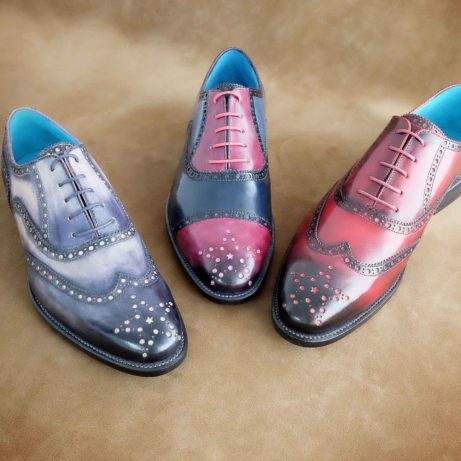 This is the application of various creams and waxes, for both cutting and polishing. 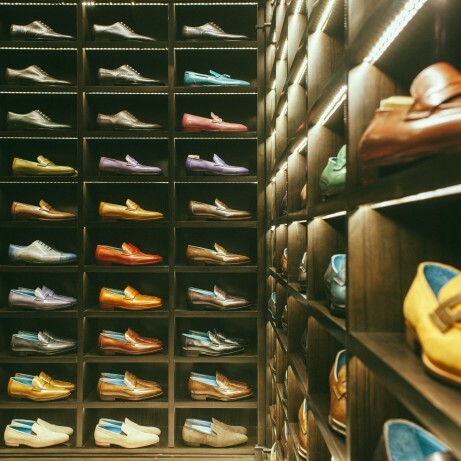 The matter of gloss or shine may be determined by you the customer. 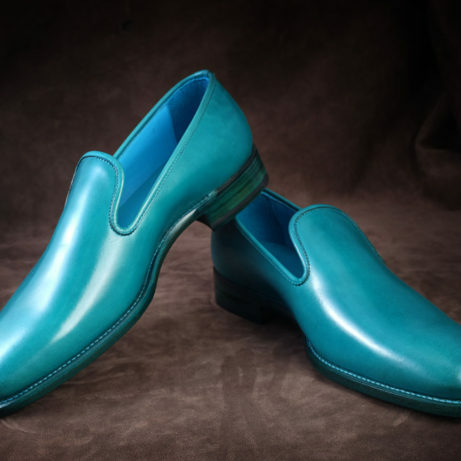 Indeed some prefer a high gloss polish like the shoes in the picture. 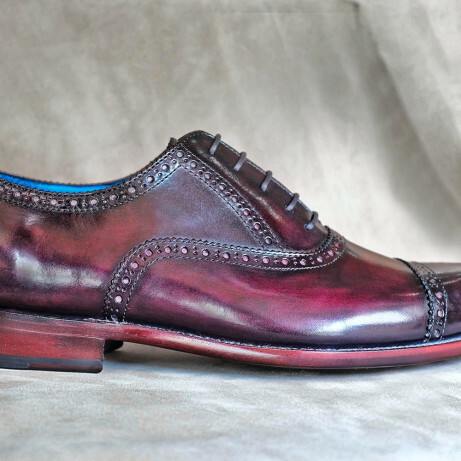 Some do prefer a rather understated shine with just a medium gloss. 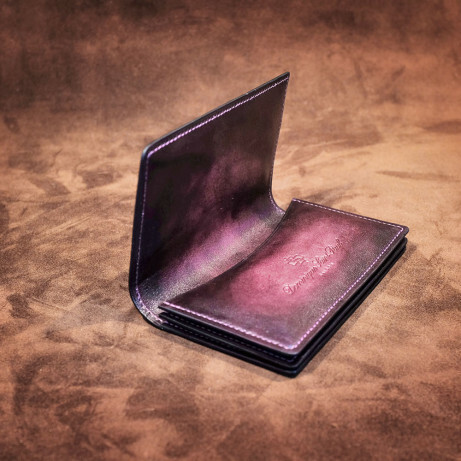 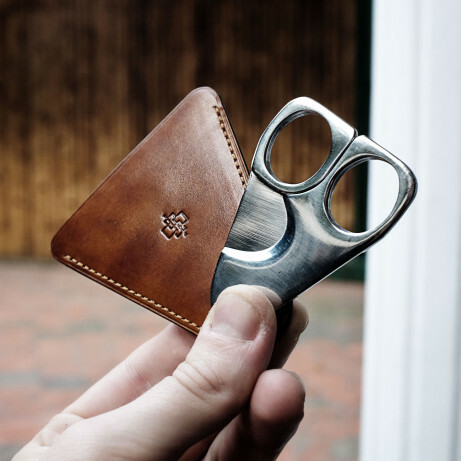 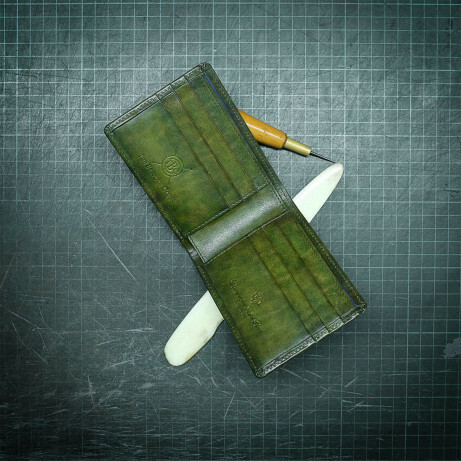 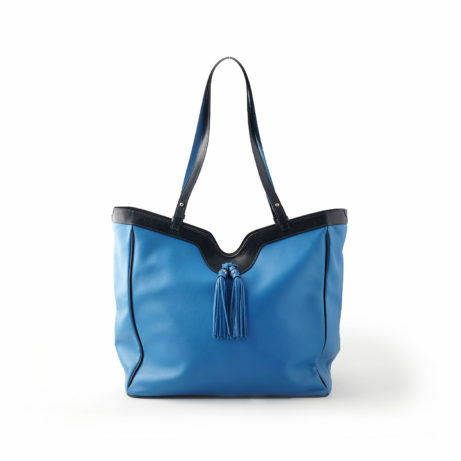 Even a completely matte finish is possible. 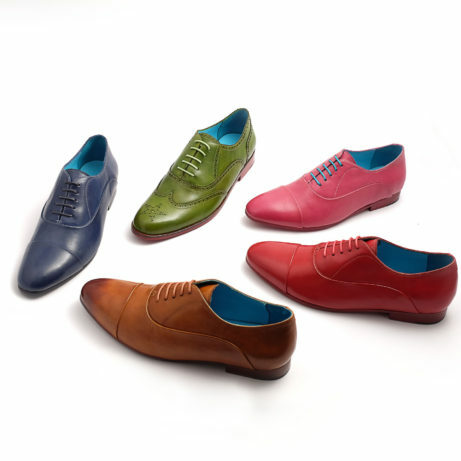 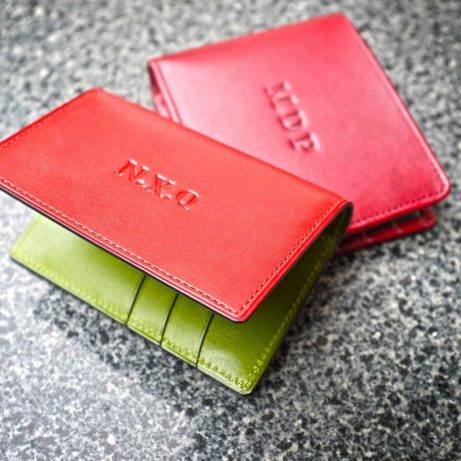 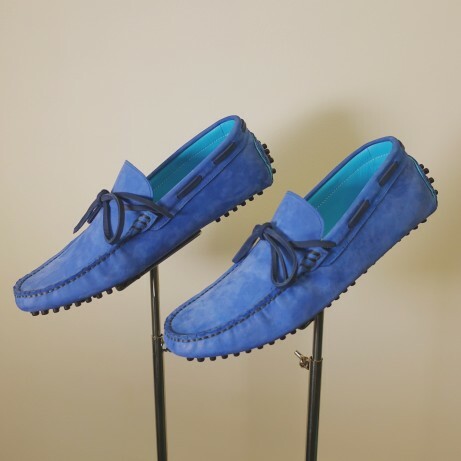 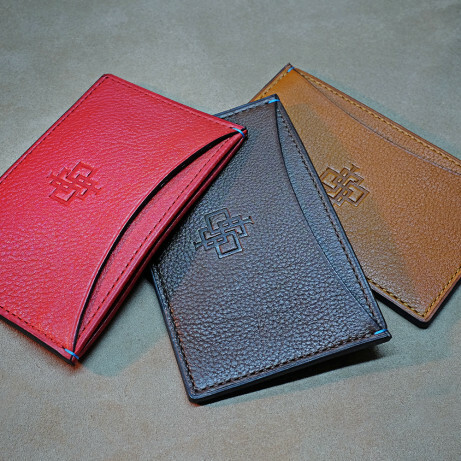 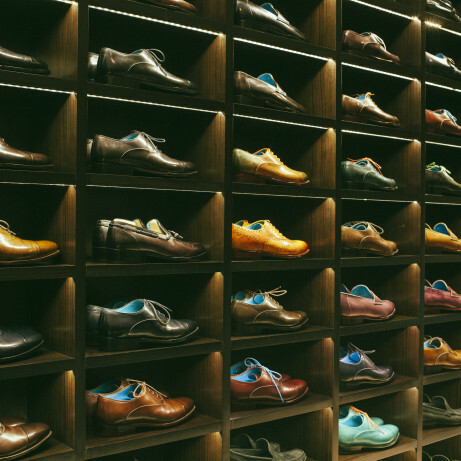 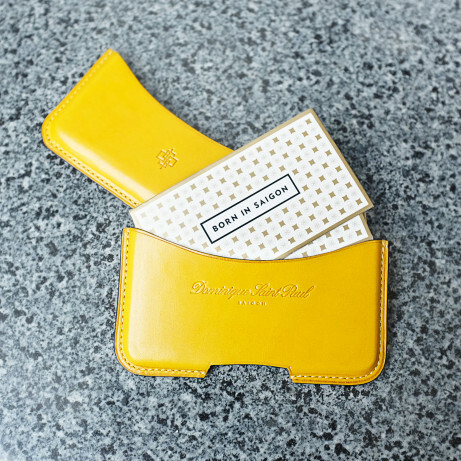 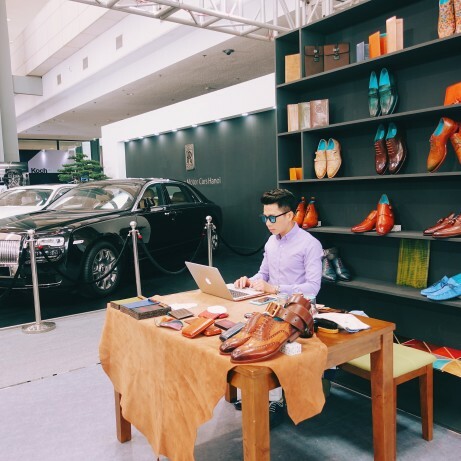 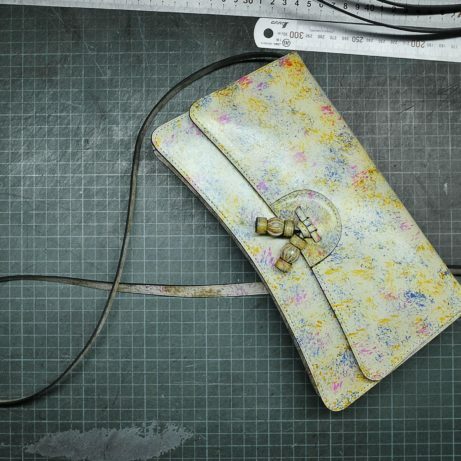 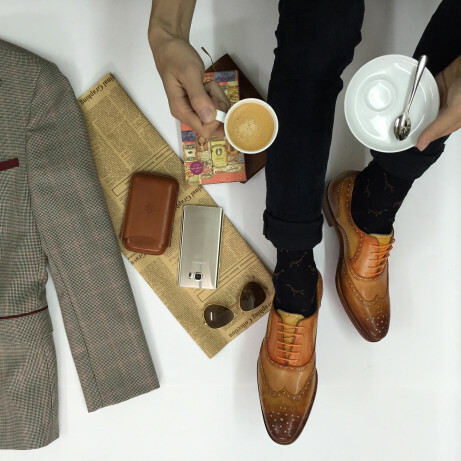 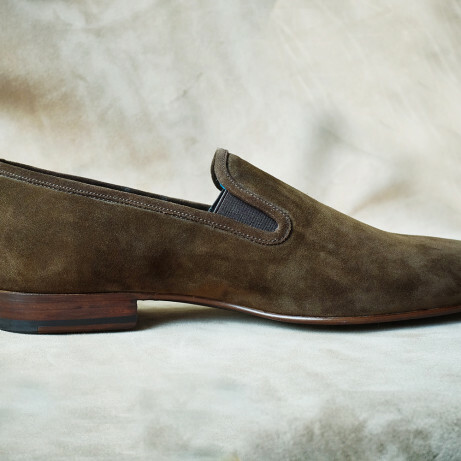 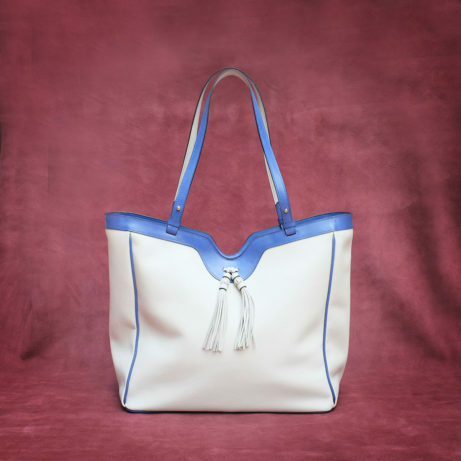 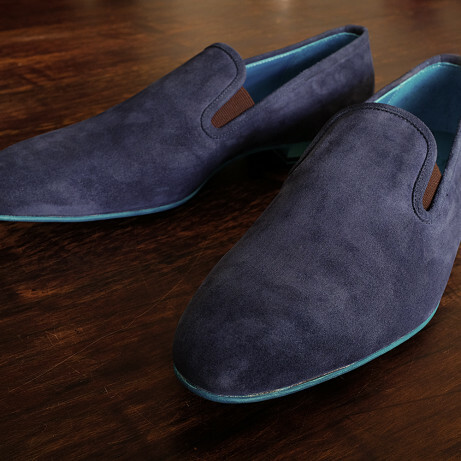 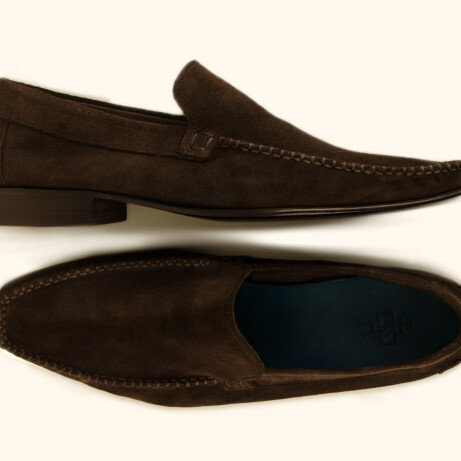 Our made to order shoe programme provides total choice for the customer. 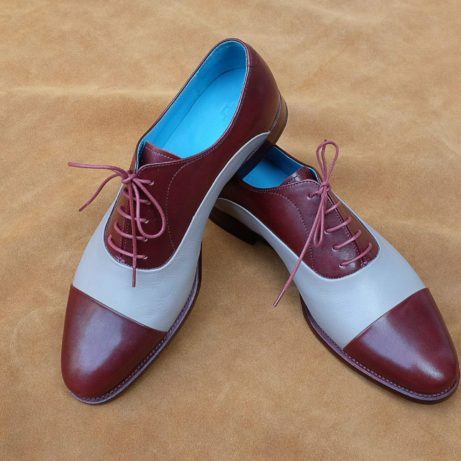 Our ready to wear shoes though may also be refinished to your requirements. 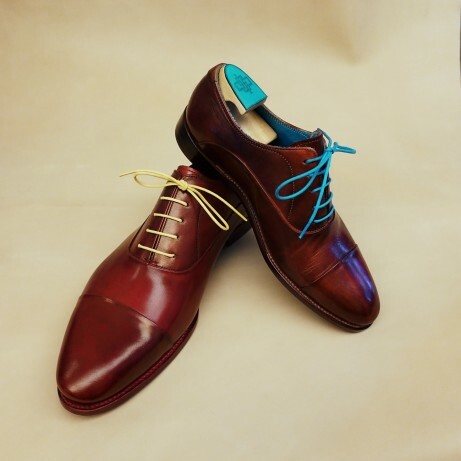 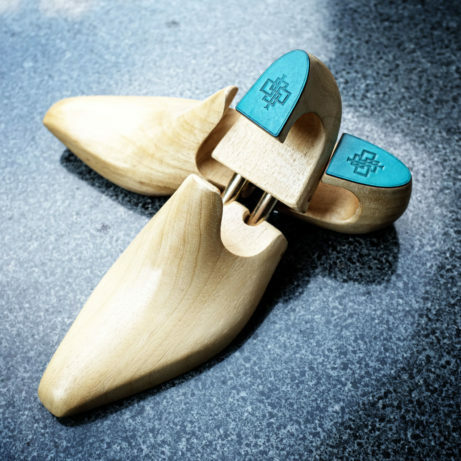 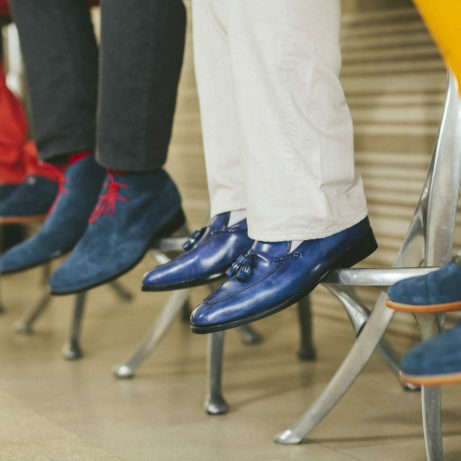 Contact us for more information about colours and finishes for your next pair of shoes. 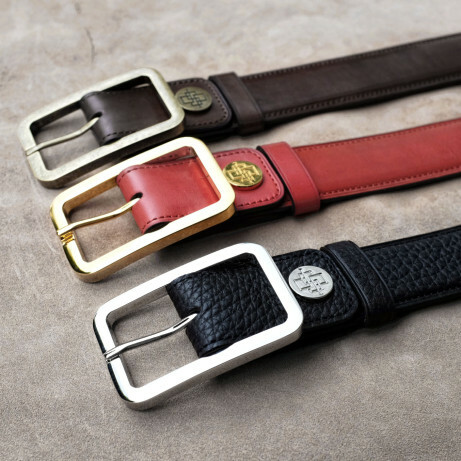 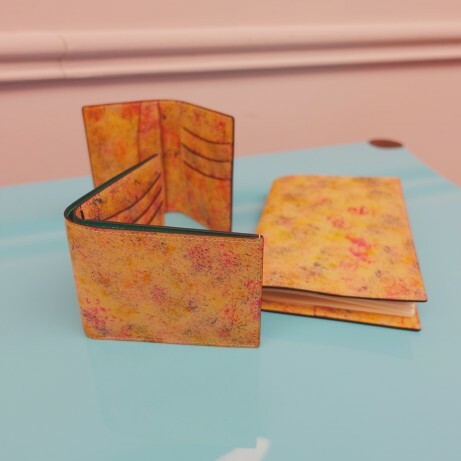 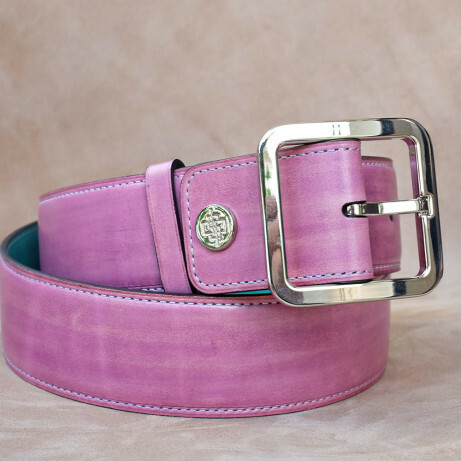 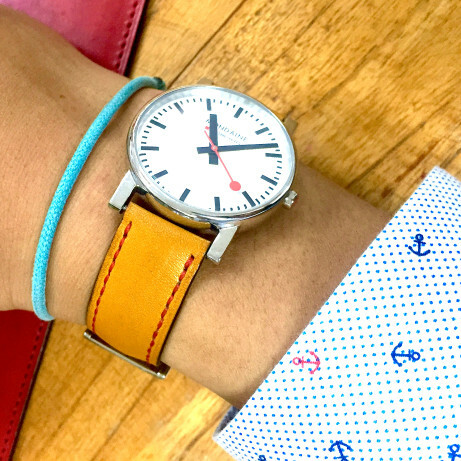 Whether ready to wear or made to order we ship internationally with Fed Ex and accept payments by bank TT or PayPal for added security and peace of mind.